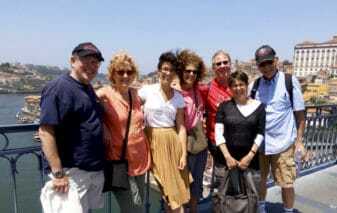 Check this page for more information on the Jewish Heritage tours in Porto or send an email to sara@portoalities.com. It’s been a while since I wrote an historical post and, since I am stuck at home with the worst flu ever, I might as well use this time to write about something I love: Jewish heritage, and more precisely about the Jewish quarters of Porto. 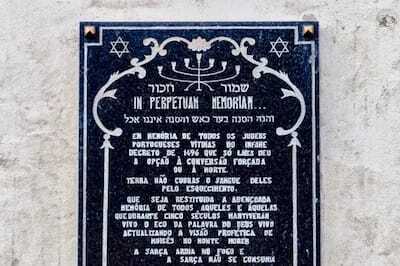 When did the first Jews arrived in Porto? It is as hard to trace back the arrival of the first Jews in Porto as it is to trace back the foundation of the city. What we know for sure is that during the High Medieval Ages there were already Jews in Porto, close to the cathedral and inside the primitive walls of the city. This must not come as a surprise, as wealthy Jewish men used to occupy prominent jobs at the Portuguese court.since the reign of the first king of Portugal. 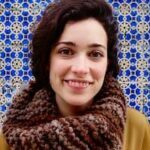 It is interesting to analyse how the social perception, as well as the power, of the Jewish communities in Portugal changed throughout the centuries. D. Afonso Henriques, the first king of Portugal, nominated the rabi Yahia Ben Yahia for the position of Finance Minister of our kingdom. The good relationship between the royal Crown and the Jewish community was kept during the first dynasty, but it faced a drastic decline during the second one. In fact, it was during the second dynasty, more precisely in 1496, that Jews were expelled from Portugal, which was, in my opinion, a political decision that had a terrible impact in the Portuguese overseas empire, from which we never truly recovered. Painting from Roque Gameiro, that portraits the moment when Jews were forced to convert to Christianity in Lisbon. 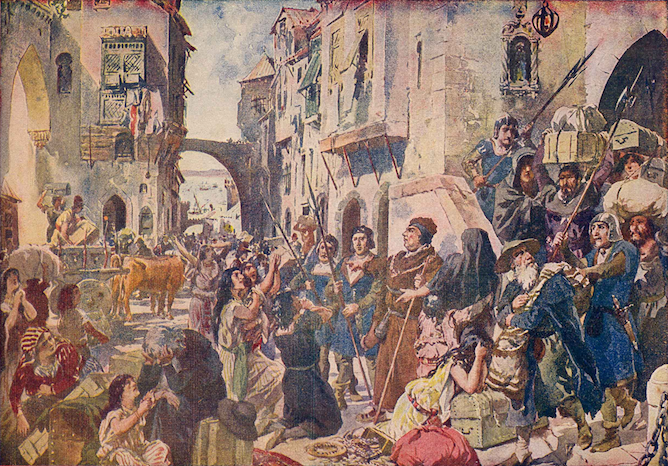 Even though Porto tolerated its Jewish community and even tried to protect it for many years, the expulsion of the Jews from the country, followed by the infamous work of the Inquisition, completed destroyed the Jewish Heritage of Porto. It was during the beginning of the twentieth century that a new Jewish community of Porto was born, mostly due to the courage and tenacity of the Captain Barros Basto. This first world war hero not only founded the community but also raised the founds to build a Synagogue in Porto and gather around him dozens of Jewish families. You can read more about the Synagogue of Porto and the life and work of this incredible man on this article. After the end of the Portuguese dictatorship, people were free to profess their Jewish faith. 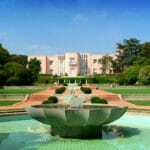 Since then, the Jewish communities in Portugal have been growing, but they are all very small. 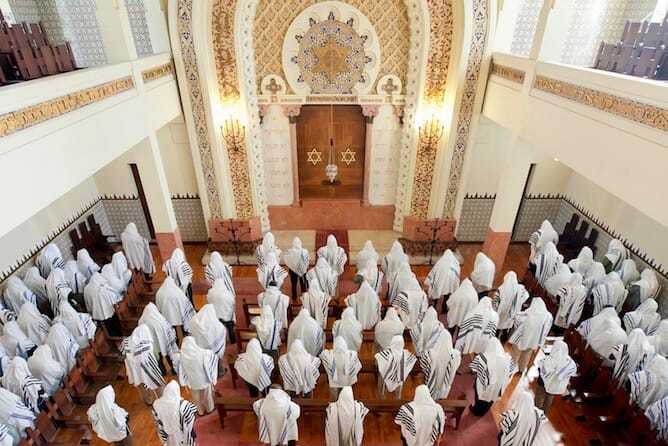 The Jewish community of Porto has around 150 members, who get together for the most important ceremonies. 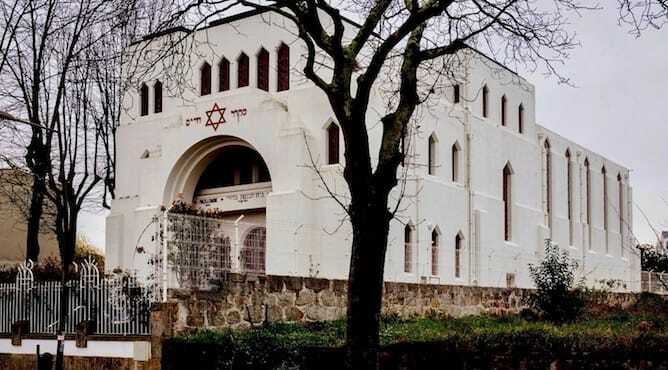 At the Synagogue you can also find a kosher store (exclusively for the members of the community), some kosher vending machines and a very nice museum that portraits the work of Captain Barros Basto, and the importance of the Synagogue of Porto – also known as the Kadoorie synagogue – during the World War II. 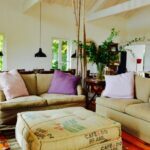 There is also a hotel called Hotel da Música, very close the the beautiful Casa da Música, that is prepared to serve kosher meals (but you have to book with two days in advance). So where were the Jewish quarters of Porto? 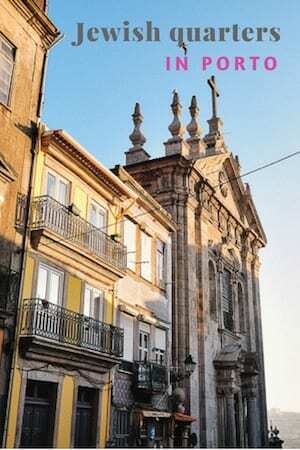 The Jewish community of Porto moved in a circle since the beginning, all the way until the late fifteenth century. 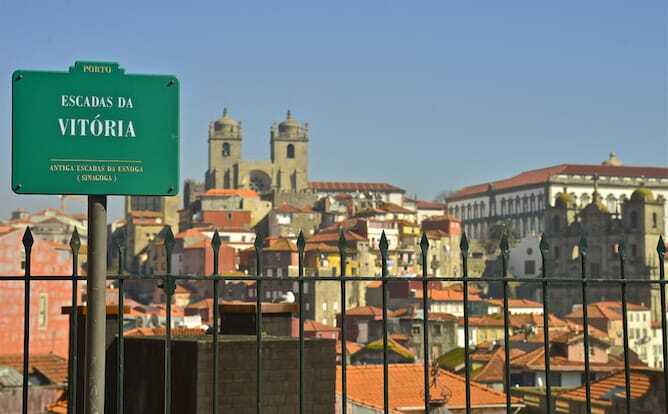 There are some records that prove that the first Jewish community of Porto used to live close to the catedral, close to the magnificent viewpoint of Igreja dos Grilos. Therefore, this would be the place where the first Porto’s Jewish quarter was built. 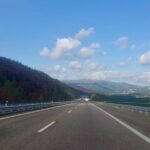 Later on, the community started to move closer to the Douro river, where is now Ribeira and the famous Luiz bridge, where most of their businesses were conducted. Then slowly but steadily they started moving West, but always close to the riverside. In fact, there used to exist two Porto’s Jewish quarters at the same time, until the late fourteenth century. © Gail at Large – the magnificent streets of the last Jewish quarter of Porto, which is covered during my Jewish Heritage Tour. 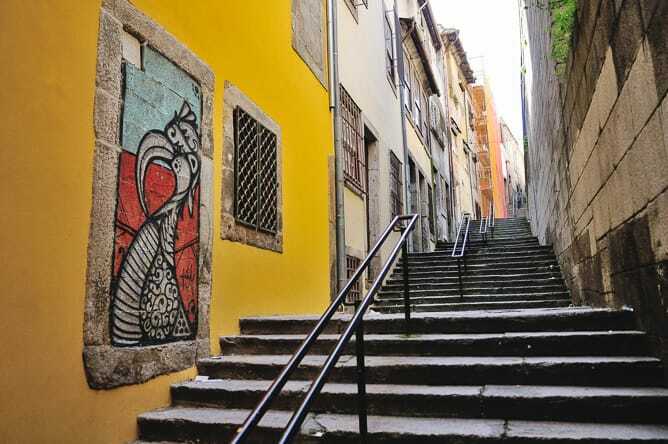 At the end of the fourteenth century the Jewish community of Porto was forced to create a Jewish quarter inside the city walls, under the rule of D. João I. © Gail at Large – The so called stairs of the synagogue. After the expulsion of Jews from Portugal, there was no need for the existence of Jewish quarters. Moreover, and since Judaism was considered an heretical religion, almost all the documents and all the traces of the Jewish quarters of Porto have been destroyed. 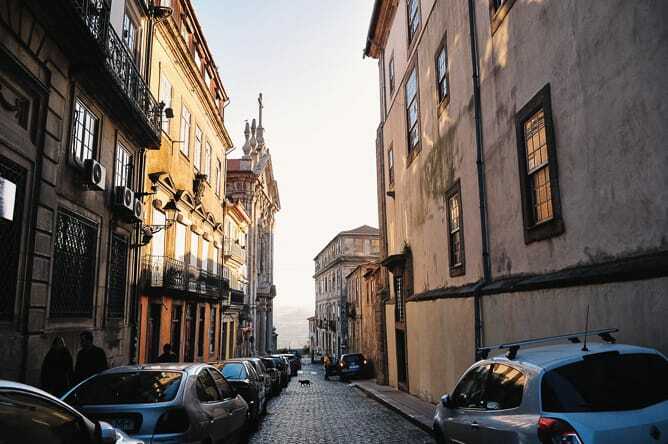 Nowadays, and since the community of Porto is so small, there is not a Jewish quarter of Porto – which is definitely a good sign of how well integrated they are in the city. In fact, Portugal can pride itself on being one of the safest countries in the world for small communities such as the Jewish ones. Therefore, don’t get surprised when you get to the Kadoorie synagogue and don’t see any metal detectors or any armed bodyguards at the gates. 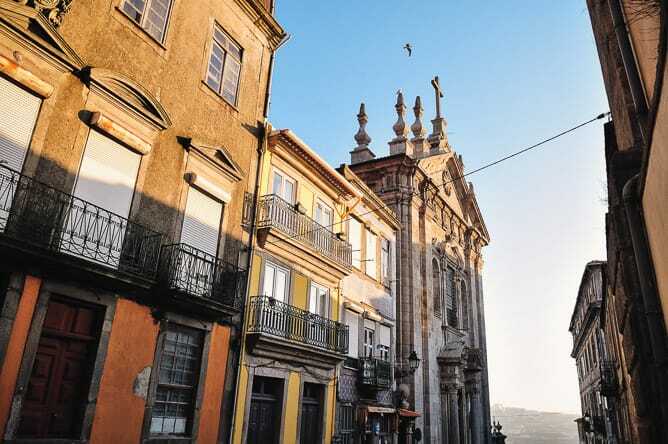 We are pleased to welcome Jews or members of any other religion in our city – and, personally, I feel honoured to share my knowledge of the Jewish history of Porto on my Jewish Heritage tours. 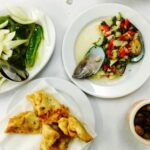 Extra: join one of my Jewish Heritage tours in Porto! The best way of getting to know the Portuguese Jewish history is to go on a private Jewish Heritage tour in Porto with me! 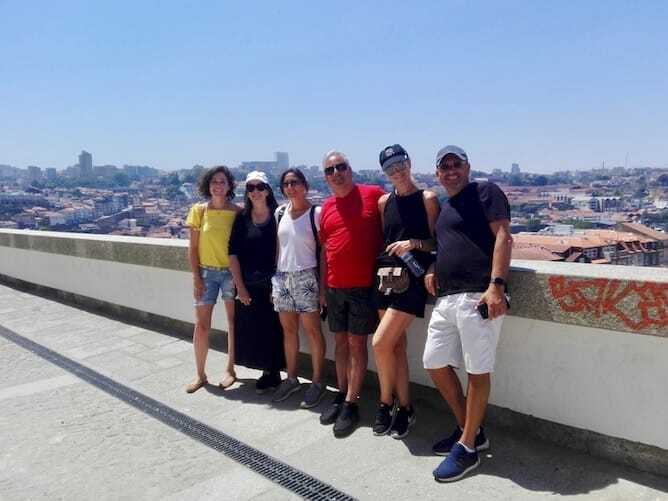 My Jewish Heritage tours in Porto are the perfect balance between getting to know the story of the rise and fall of the Jewish community, since the medieval ages until now, and, at the same time, visiting the most important monuments in the city. Click here for more information on the Jewish Heritage tours in Porto, or simply send your questions to sara@portoalities.com. It will be a pleasure to welcome you in Porto!